If you already know what first mortgages are, then why would you want to invest in second mortgages? Before we delve into the specifics of second mortgages, let’s start with the basics and get a better understanding of what mortgages are in general for the novice investors. The term “mortgage” comes from Old French “dead pledge,” apparently meaning that the pledge ends (dies) either when the obligation is fulfilled or when the property is taken through foreclosure. 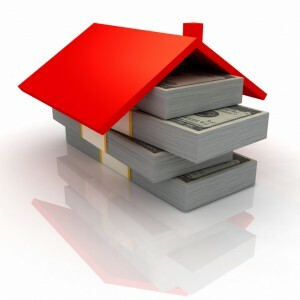 A mortgage, hence, is the pledge of property to a lender as a security against debts (e.g. for a mortgage loan). Now, the question is, why invest in second mortgages and what does that mean? As the number reveals, second mortgages are in 2nd position, which means another mortgage loan is registered against the same property as the first mortgage. Second mortgages are subordinate mortgages because if the borrower goes into default, meaning they do not make their payments on time every time and eventually does not pay at all, then the property will go into foreclosure or power of sale and the first mortgage gets paid off first before the second. In general, second mortgages are viewed as the riskier type of mortgages. However, from a seasoned investor’s standpoint, second mortgages are not necessarily more risky than the first if you know how to evaluate the deal in terms of loan-to-value, property type and location. In fact, if you’ve done your homework, you can be making quite a return on investing in second mortgages since they are higher in interests and still have enough security in case of default. An added bonus, the first position mortgagee will often want to pay out the second mortgage so they can take full control! The bottom line is, you have to do your homework first … and a thorough one before investing in any type of mortgages! If you are interested in learning more about this type of real estate investing, feel free to contact us and we can provide a one-on-one consultation with you to go through the process of investing in second mortgages and together, let’s start making money like the bank!